As RTX Austin comes to a close this year, Anime Secrets’ review of the convention opens. 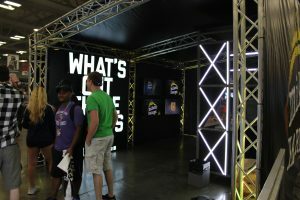 RTX Austin—Texas’ largest internet, gaming, and animation event—took place on Friday, July 7 through Sunday, July 9 of 2017 at the Austin Convention Center, JW Marriott, and Hilton in downtown Austin. The convention, established in 2011, celebrated its seventh year running. RTX has grown from 600 attendees in 2011 to more than 60,000 in 2016, and has expanded to include international events in Sydney and London. This year, 62,000 attendees found their way to the convention. On Friday, the convention had a bit of a rough start. 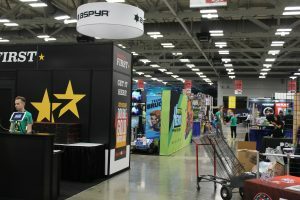 RTX organizers tried out a new system in which attendees picked up their badges at one location. This created a long line that left some attendees waiting upwards of two hours to get their badges. The wait time was amplified by the absence of the RTX Guardian Line Team, a group of volunteers specifically assigned to keep all lines organized and effective. (For more information on RTX Guardians, please click here.) Without this team, some attendees found themselves confused and frustrated. The frustration only grew once attendees found themselves having to wait in another long line to go through the new fire-marshal-mandated metal detectors. Despite those two slowdowns, the RTX staff and Guardians kept the convention’s many panels running smoothly, and they even provided a handbook for Guardians to refer to if they had questions. The VIP party got a mix of reviews from the people who went; several people reported good things, though. The next day ran much more smoothly. By Saturday, the convention got at least four additional metal detectors, so the line for the exhibit hall was more organized. The panels were all on time, and attendees started getting into a stride regarding this year’s line-setup. Saturday was also the busiest day, when the most people attended RTX. This brought more strain for the convention, though. In previous years, Guardians watched the elevators to make sure that they ran efficiently. This year, none were assigned to keep the elevators nice and pleasant, which made for a more chaotic elevator experience than in years past. Sunday also boasted a very smooth-running convention, and events lasted nearly as long as they had on Friday and Saturday. Most of the notable panels that day were part of the Animation Festival. Sadly, I could not make it to many of Sunday’s panels due to a personal injury, but I could move slowly through the exhibit hall. Most of the booths seemed similar to what you might expect at Comic-Con, along with a number of YouTube exhibitors and merchandise. The community presence was also striking: there were plenty of people hanging out and having fun, as well as gathering up to say goodbyes, make some great memories, or plan to meet up after the convention to say their final farewells. The aura of the room was both sorrowful and welcoming. Watching people tell both new and lifelong friends goodbye was very touching and emotional. 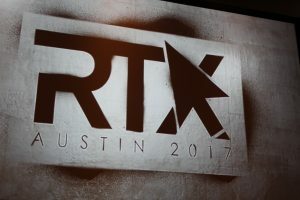 Overall, RTX Austin’s panels, exhibit hall, and community at the 2017 convention were as amazing as always. The only negatives were the lines and certain placements of the Guardians. RTX returns to Austin on August 3–5, 2018. RTX Sydney takes place on February 3–4, 2018. Tickets for RTX London 2017 are on sale now for October 14–15 here! We hope to see you guys again for RTX Austin next year, and maybe at its other locations in the future.